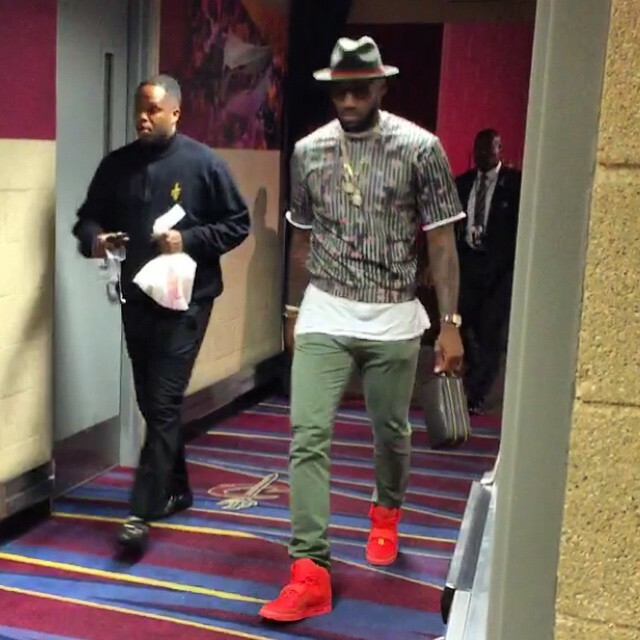 King James is still Team Yeezy. LeBron James, looking to lead his Cleveland Cavaliers to a 3-0 series lead in the Eastern Conference Finals, arrived at The Q moments ago. Spotted on James' feet was 'Red October' Nike Air Yeezy 2, a shoe he wore during a playoff shootaround last season. No doubt that he's sitting on a few deadstock pairs for the future. Perhaps if that adidas deal would have panned out, he'd be in Yeezy Boosts.